By Iain Rankin, who now writes for Listentotaxman.com on matters relating to property tax and landlord tax. Iain is also a Landlord Tax Adviser at TaxKings Accountants. just visit TaxKings Accountants for more information. One of the more significant taxes that almost every Buy To Let landlord will have to pay is Capital Gains Tax (CGT). Let's start with the usual caveat; while it is perfectly possible to take some quite legitimate steps to reduce your exposure to CGT, any attempt to evade the tax is doomed to fail, as this property investor found out to his very great cost last year: Landlord jailed over CGT bill! So what is CGT? In simple terms, it is a tax that is payable on the disposal of an asset. For the purposes of this article, it would be payable if you were to sell a property that you owned. It is taxable on the difference between the amount that you paid for the property and the amount that you sold it for, with some deductions and exemptions that we will cover later. By way of example, if you bought a property for £150,000 in 2008 and its market value now is £250,000, then you have made a capital gain of £100,000. If you realise this gain by selling the property for £250,000, then you are liable to pay CGT the £100,000 gain.As most property investments will eventually be sold with tax to pay on the gains, CGT is a crucial consideration for property investors. When Do I Have To Declare CGT? If you normally complete a tax return, you report your capital gains on your self-assessment tax return. If you do not normally complete a tax return, then you can report your gain using the Government Gateway online service. This means you do not need to wait until after the end of the tax year to report your gains. Alternatively, you can contact HMRC and register for self-assessment by completing the online form SA1. 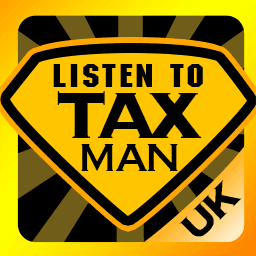 You should tell HMRC by 5 October following the end of the tax year for which you have CGT to pay or losses that you want to notify to them to carry forward. If you are unlikely to need a tax return in future, once the process is complete, you can contact HMRC requesting that you be removed from self-assessment to avoid them continuing to send you tax returns. So, assuming you sell your property on 10 March 2019, the disposal will be in the 2018-19 tax year, and the capital gains tax will be due for payment on 31 January 2020. There are two tax-planning points here, which can help to ensure you make the disposal of the property in the right tax year. For example, if you had sold some stocks and shares in 2018-19 and thus used up your tax-free allowance (we'll come to that next) then it would be in your interest to defer the sale of the property until after 5 April 2019. This moves the gain on the sale of the property into the next tax year, giving you another annual CGT allowance. Secondly, from April 2020, HMRC are, very kindly, making the payment of CGT “simpler and quicker” for UK taxpayers. A payment on account of CGT will need to be made when a residential property is sold. This will be due within 30 days of completion, alongside a return submitted by the seller. This appears to be yet another attempt to portray residential property investors as untrustworthy individuals. What Costs Can I Deduct to Reduce My CGT Liability? costs of improvement works - such as building a conservatory or an extension. Note that normal maintenance and repair costs do not count. If you are a Buy-To-Let Landlord then you should be claiming these expenses on your self-assessment tax return. What is the Annual CGT Exempt Amount? Each tax year, most individuals who are resident in the UK are allowed to make a certain amount of capital gains before they have to pay any CGT. This annual exempt amount, for 2018-19, is £11,700. Can any unused exemption be carried forward to a future tax year? Does my spouse or civil partner have their own CGT exemption? Tax planning thus becomes valuable in CGT terms. As there is no option to carry the annual exemption forward to another tax year, it is sensible to maximise use of the annual exemption within each relevant period. So, you might look at disposing of a property in a year where you have a full annual exemption available, or deferring the sale or transfer until the next tax year. As a personal example, I once sold a couple of properties, one exchanging on 5 April and the other on 6 April to effectively double the exemption and reduce my tax bill accordingly. You may make further use of your spouse or partner's annual exemption. Under a spousal transfer, you are permitted to transfer chargeable assets between spouses and civil partners without incurring CGT. This includes property. Such planning will require advice from a specialist tax adviser as to wider implications on tax liability and availability of other CGT reliefs. What Rate of CGT will I pay? The CGT rate is higher for the gain on sale of residential property than it is for other assets, where the gain would be taxed at 10% (basic rate) and 20% (higher rate). This is one of the measures the UK Government has taken to reduce participation of investors in the UK residential property market. What other exemptions and allowances might I be entitled to? Most people know that an individual’s main residence is exempt from CGT – under the Principle Private Residence Relief (PPR relief). PPR relief can, in some circumstances, offer wider CGT benefits to savvy property investors. For example, landlords selling a buy to let property may be able to take advantage of PPR relief if they have lived in the property for a period of time (no prescribed minimum time period, but read on). If the property has only been the individual’s only or main residence for part of the period of ownership, then the amount of private residence relief is reduced, this means that part of the gain may be chargeable to CGT. PRR relief also allows you to claim relief on the last 18 months of ownership as CGT exempt, provided you have evidence that the property was at some point your primary residence. Letting relief may also be available to Buy-To-Let Landlords, in addition to PPR relief, on the condition that the property has, at some time, been let as residential accommodation, and a chargeable gain arises by virtue of the letting period. Lettings relief is thus a valuable additional relief that may reduce the CGT payable on the sale of a rental property, where it was, at some point, the taxpayer’s only or main residence. How can I work out what reliefs I am entitled to? The first stage is always to work out the private residence relief. In a simple case where the property is lived in for a number of years and then let out for the remainder, the amount of private residence relief is determined by apportioning the gain to the period it was used as the taxpayer’s main residence. By way of example, let's say that I purchased a property on 1 January 2008 for £125,000 then lived in the property until 1 January 2012. I then let out the property until it is sold for £250,000 on 1 January 2018. So, in total, I have owned the property for 10 years (120 months). PRR is available for the period in which I lived in the property as my main residence, i.e. from 1 January 2008 until 1 January 2012 (48 months) and also the final 18 months (don't forget; the final 18 months of ownership also qualifies for relief) – a total of 66 months. On selling the property I made a gain of £125,000 i.e. £250,000 - £125,000. Private residence relief is thus available in respect of 66/120ths of the gain, i.e. £68,750. Next, we work out the amount of the gain attributable to letting. In this scenario, this is simply the portion of the gain that is not exempt under PRR. In my example above, the gain attributable to letting would thus be £56,250. So, in this case, £40,000. Assuming I still have my annual exempt amount available (£11,700 in 2018-19), then I will be taxed on a gain of £4,550. If I was a higher rate taxpayer, I will pay CGT of £1,274 (28% of £4,550) in January 2020 or £819 (18% of £4,550) if I paid tax at the basic rate. As you can see from my example, living in the property as a main residence for a short while can be beneficial as it opens up the possibility of claiming lettings relief as well as ensuring the final 18 months of ownership are exempt. How do I elect a property to be my main residence? While an election can be made that a residence is a person’s main residence for CGT purposes, for example, during periods of non-occupancy by tenants, this should be approached with a degree of caution. A fundamental requirement for the election is that the relevant property is genuinely a residence of the individual. As there is no statutory definition of ‘residence’, many cases end up before the courts and tax tribunals. Individuals should retain evidence so they are able to claim that the property was their main residence for CGT purposes. This would include council tax bills, utility bills and bank statements and being on the electoral register. Furthermore, you should be very careful that there is no contradiction between information provided for other taxes such as SDLT (stamp duty) and income tax (self-assessment). Time limits apply for making an election. An election can be made within two years of whenever there is a new combination of residences. An election can be varied at any time, and backdated for up to two years from the date that it was given. The burden of proof is almost always on the taxpayer to demonstrate that they are entitled to claim any relief. For the purposes of private residence relief, a husband and wife may only have one residence. Any other ways to reduce my CGT bill? You may be somewhat surprised to hear that there are two very generous tax breaks when it comes deferring your CGT bill, or even removing it altogether. However, this strategy tends to be for the more sophisticated investor as it involves a relatively high degree risk to your capital gain. Deferral relief - which allows you to defer paying CGT on gains made in the past three years or during the current tax year – provided these gains are reinvested in a qualifying EIS investment. This defers the point at which the original CGT bill becomes payable and allows you to claim income tax relief at 30 per cent on the funds invested. All gains on EIS investments are free of income tax and CGT after a minimum holding period of three years. If the EIS investments are not sold but form part of your estate, any outstanding CGT liability lapses on death. Warning: You should speak to and clarify the above points with an IFA and make sure you are comfortable with the risks involved in any EIS you are considering. As most property investments will eventually be sold with tax to pay on the gains, CGT is a crucial consideration for property investors. If you don’t budget properly for CGT and make yourself aware of upcoming legislative changes then it can lead to an unwelcome and unexpected tax liability and/or falling foul of HMRC. A Google search is going to throw up a lot of different information and a lot of it will be neither correct or current. Property tax regulation changes with every Budget. No matter how astute you may be in finance or business, it is important not to take a DIY approach to CGT; always consult with a professional tax adviser well in advance of your decision to sell an investment property to look at ways to minimise your property tax liabilities, including CGT. This article was published in our Guides section on 01/09/2018.